Create application in Azure Active Directory and you can then note the application ID. Sign in to your Azure Account through the Azure portal. Get Client ID and Tenant ID. Go to Settings &gt; Required permissions. Click Add &gt; Select an API &gt; Windows Azure Service Management API and click Select. Select required Delegated Permissions, click Select and then click Done. Select the application and go to Settings &gt; Keys. Add a description and expiry duration for the key and click Save. The value of the key appears in the Value field. When programmatically signing in, you need to pass the tenant ID with your authentication request. Copy the Directory ID to get your tenant ID. Grant permission for the application to access subscription that you want to configure. Assign a role to the new application. 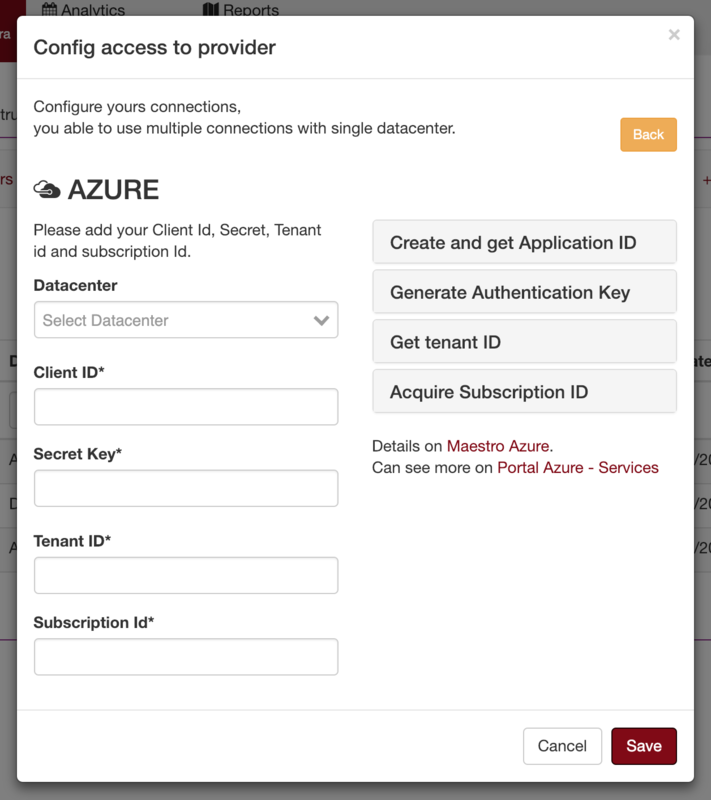 On the Azure portal, navigate to Subscriptions. Select the subscription for which you want to grant permission to the application and note the subscription ID. To grant permission to the application you created, choose Access Control (IAM). Go to Add &gt; Select a role. Pick the role as Reader. A Reader can view everything, but cannot make any changes to the resources of a subscription. Select Azure AD user, group, or application in Assign Access to dropdown. Type the application name in Select drop-down and select the application you created. Synchronized and permissions to grant. © Copyright 2018, Felipe Signorini Revision d54a0f97.